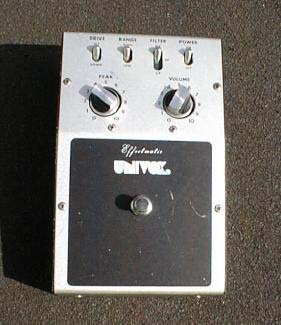 Effectmatic (1, 2, 3) - also known as MU-1000 Mute Box, same as MU-1500 the Funky-Filter, a copy of a Mutron III. 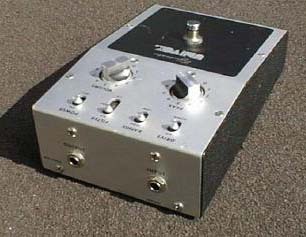 The pedal was an "envelope follower" or auto-wah. The schematic was exactly the same as a MuTron III, they were actualyl licensed from MuTron. 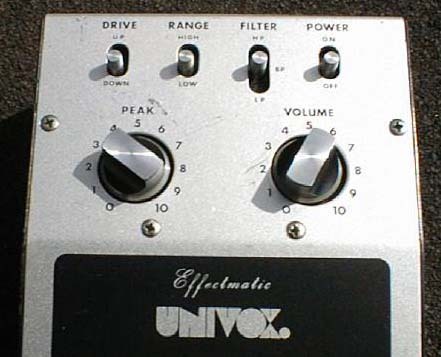 2 knobs for "Peak" and "Volume", 4 switches "Drive" (up, down), "Range" (high, low), Filter (Hp,EP,LP), Power (On, Off). Came in steel-colored case.